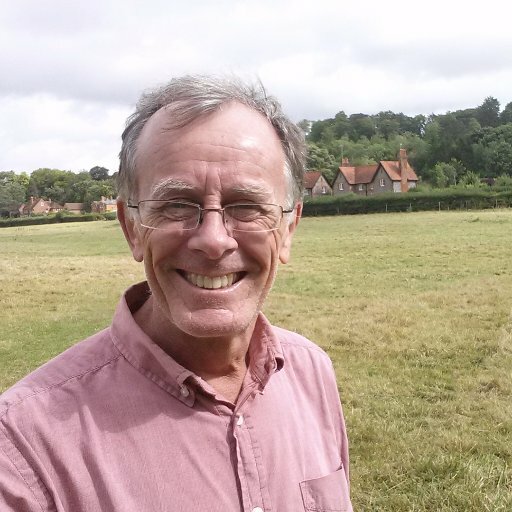 A local reporter sacked by Trinity Mirror after resisting pressure to produce what he saw as “clickbait” has launched his own website covering his former patch. 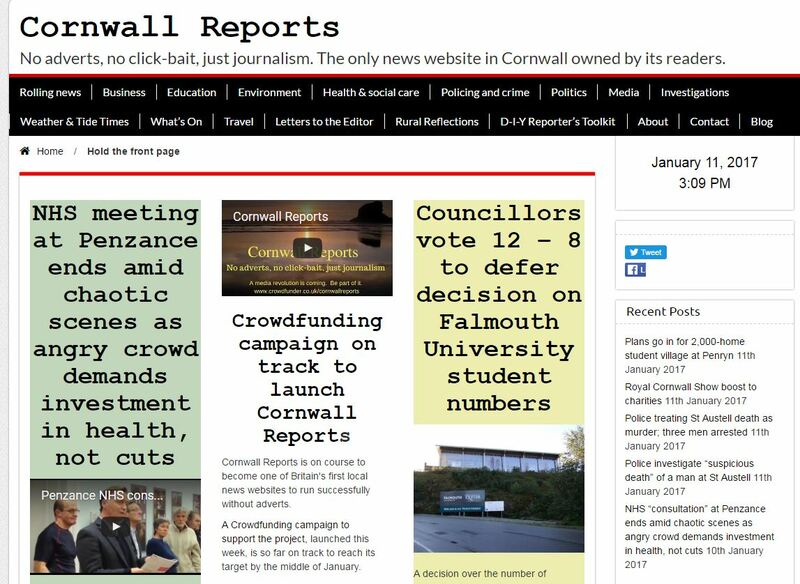 Graham Smith is seeking crowdfunding to support Cornwall Reports which he is pitching as an upmarket paid-for alternative to Trinity Mirror’s free Cornwall Live website. He said if he can attract 1,000 subscribers willing to pay £30 a year he will comfortably exceed his former Trinity Mirror salary. He was sacked after making no secret of his plan to create the rival website. Smith, 62, was Wadebridge and Padstow reporter for the Cornish Guardian, which was published by Local World. After Trinity Mirror bought Local World in November 2015 he said his patch was increased to cover Camelford, Padstow, Launceston, Bude and Bodmin (around half of Cornwall by area). He said that 12 journalists were made redundant by Trinity Mirror, but that he was asked not to apply for redundancy. “I was told ‘your job’s not going to change’. That promise did not survive the first day of the new digital-first product launched by Trinity Mirror. “I was asked to write a listicle on ten illnesses that can kill your pet. Smith said he began developing his own website as a “lifeboat” and said he pitched it to Trinity Mirror. He was sacked in December and was told that his “values and aims directly contradict the company’s”. 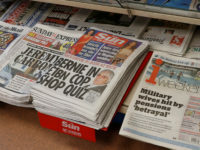 He was told that he had “made it clear” he was “unwilling to align himself with the business’s requirements to meet audience ambitions in accordance with the Trinity Mirror strategy”. 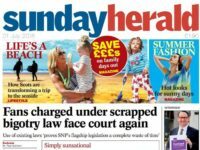 Smith said: “Had I been allowed to continue reporting the news, I would not have pursued the idea of launching my own website”.  Smith said that the weekly Cornish Guardian has gone from seven reporters to two covering its seven different geographical editions and that Trinity Mirror how has around seven reporters covering the whole of Cornwall. Smith, who has 36 years experience in journalism, estimates that out of 450,000 voters in Cornwall, around 90,000 are engaged enough to vote in parish council elections and that these are his target market. He said: “There is a very strong sense of cultural identity in Cornwall. One health body, one unitary body, one unitary local government body, an independence movement. He said that Cornwall Reports aims to “provide a comprehensive service without adverts, surveys or other forms of intrusive data acquisition”. 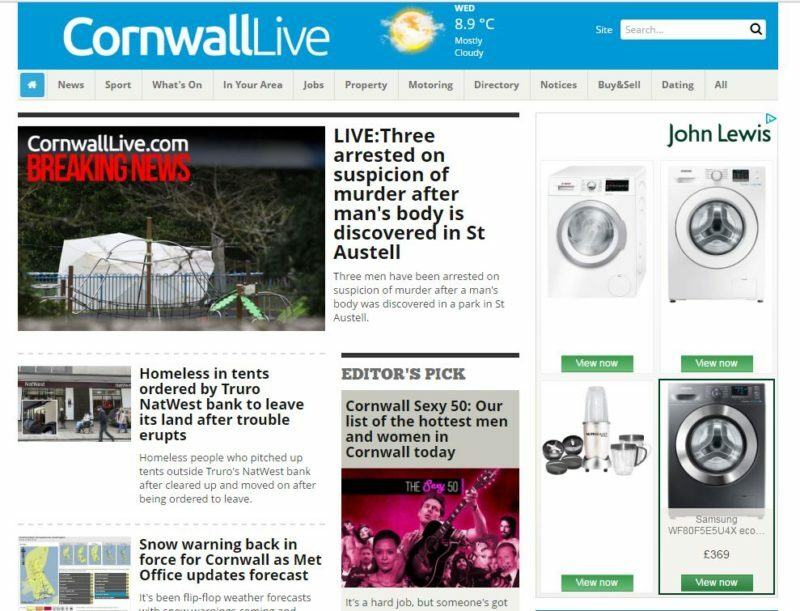 He said Trinity Mirror’s closure of the Cornish Guardian, West Briton and Cornishman local news websites – replacing them with Cornwall Live – has created a gap in the market. He contends that journalism has been replaced by “content” and that this has led to “dumbing down of our culture”. At time of writing he had reached £995 of his Crowdfunding target with seven days to go. 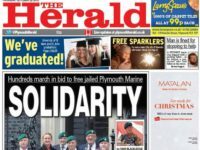 A Trinity Mirror spokesman said:”Since the launch of CornwallLive.com last year we have seen a significant uplift in engaged local readers – audience numbers have risen sharply, they are staying on the site for longer and returning more often. 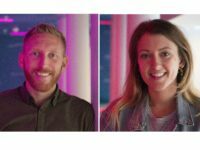 “We are proud of our talented journalists at Cornwall Live and what they have achieved, reaching more people online in Cornwall than ever before. Although I agree with Ponsford that the “golden rule” for journalism ethics should not be violated, I would disagree with his statement that journalists must at all times “treat others as you would expect to be treated yourself.” While yes, I believe this is a thoughtful way to live out your personal life, I do believe that journalists have a duty to uphold which sometimes conflicts with this self-reassuring mantra. Additionally, Ponsford is a British journalist. The journalism industry in Great Britain operates differently than the journalism industry in the United States. With the protection of the First Amendment in the United States, as evidenced by other cases in the past, Buzzfeed is able to avoid defamation charges and is right to publish since the company was not responsible for fabricating any of the stated material in the dossier. Had Ponsford took into consideration previous examples from American history and compared those instances with Buzzfeed’s actions, he would have sculpted a better argument for his article. 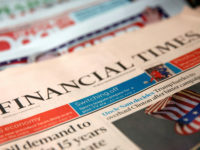 Journalists are responsible for educating populations and publishing information that informs the general public about the world around us. According to the Society of Professional Journalists, “…public enlightenment is the forerunner of justice and the foundation of democracy. The duty of the journalist is to further those ends…”. Additionally, journalists must report the truth and often times this truth may conflict with another party’s personal interests. This is a conflict journalists must constantly face. In the publication of dossier, Buzzfeed was upholding its duty to inform the general public that the allegations exist and were circulating the journalistic community. Additionally, Buzzfeed is protected by The First Amendment which protects its right to free speech and open dialogue in the United States. According to U.S. law, defamation charges in the United States can only be carried out if the source of publication was aware that false statements exist in the article or item being published. Since Buzzfeed made aware that it was unsure of the validity of the allegations, it was letting its audience members know that it was not responsible for the statements made and was leaving the validity of the statements up for interpretation. In 1971, the United States saw the publishing of the Pentagon Papers which is similar to the release of the Buzzfeed dossier. In the final ruling of New York Times Vs. United States the Supreme Court ruled in favor of the publication although there were concerns about defamation and national security. In his article, Ponsford fails to bring up any similar cases from America’s past in order to further explain why Buzzfeed was wrong in its publication. Possibly, this is due to the fact that U.S. Supreme Court has rarely not ruled in favor of the First Amendment. 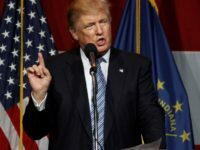 According to the political magazine Mother Jones, “put all that together—president, credibility among the intelligence community, and widespread dissemination—and I’m not at all sure that BuzzFeed did the wrong thing.” Buzzfeed was merely publishing information that pertained to Trump, a prominent and currently “controversial” official, that I don’t personally believe should be punished for. I am not praising Buzzfeed’s particular actions in publishing the dossier, I just believe they it should not be punished for its actions or criticized for taking any action at all. Collectively, I can see why Ponsford may have disagreed with the overall publication of the dossier since the intentions of the publication were not clearly stated and the quickness of the publication may have come off as an attack. On the other hand though I do not think that Buzzfeed was at fault for its publication since it was merely releasing information to the general public. If Ponsford was more aware of U.S. law and provided additional examples from the past I believe his argument would have been more successful. Even weirder is that there is an Anne North with a byline on Cornwall Reports from both before and after the date of the ‘Anne North’ comment here. It’s a bold move by Graham and I hope he succeeds, if not least as a model for elsewhere. If it does work out in Cornwall then I can see it working even better for areas where many are affluent and ‘engaged’ e.g. Cambridge, Oxford. Does anyone know of any new (or old) locals that survive on a paywall rather than by ads?